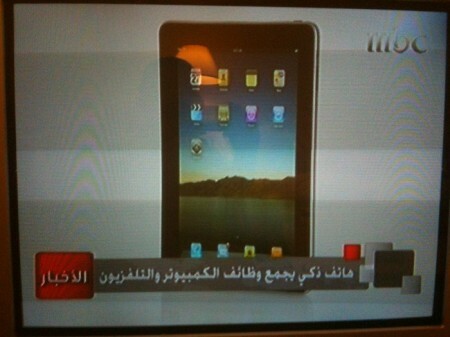 In a news segment aired yesterday on MBC they showed the upcoming Apple iPad. MBC called it a “Smartphone that combines the functions of computer and television”. What do you think of their knowledge in technology? Thanks to Dr. Saleh AlShebil for sharing this picture and giving me permission to publish it here. If someone have a video recording of this segment then please post it here. Do a little research MBC and understand the products that you are going to publish news about! Amazing, where was Hussein when he was needed? Their tech guy. They sell media to specific segments of people (I politely don’t wanna mention what segments)!